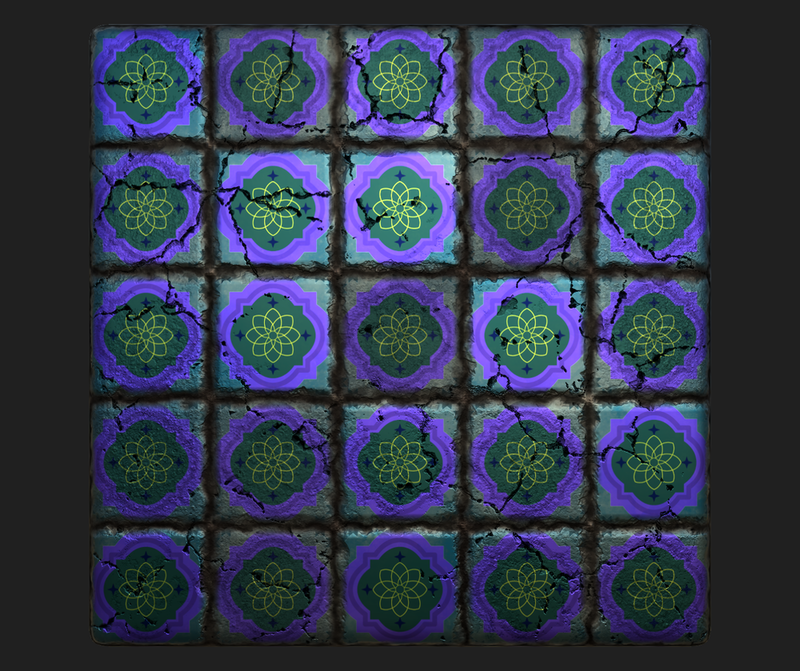 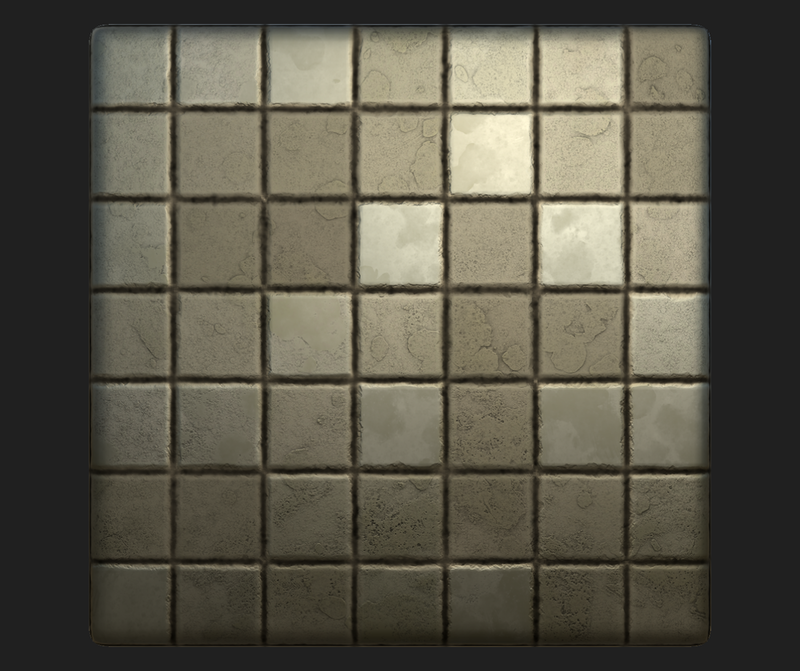 Created a material that allows the user to choose how many tiles there are, the color of the tiles, if the tiles are cracked and by how much. Then inserted the multiple patterns I’ve been working on as a design element to choose from. Each pattern can either be a line designer or a filled design and each shape can have its own color; again changeable by the user.